In the last years the demand for English Spanish translation has steeply increased, due to growing spread of this language all over the world: Spanish is the 2nd most taught language in schools (right after English) and it is the 3rd most used language both in the real and in the virtual world. The reasons of this growth are linked to intensifying migration flows, the high birthrate in many countries where it is spoken, the economic growth of numerous Latin-American countries and the growth of Spanish-speaking communities in some areas of the USA, such as Miami and New York. 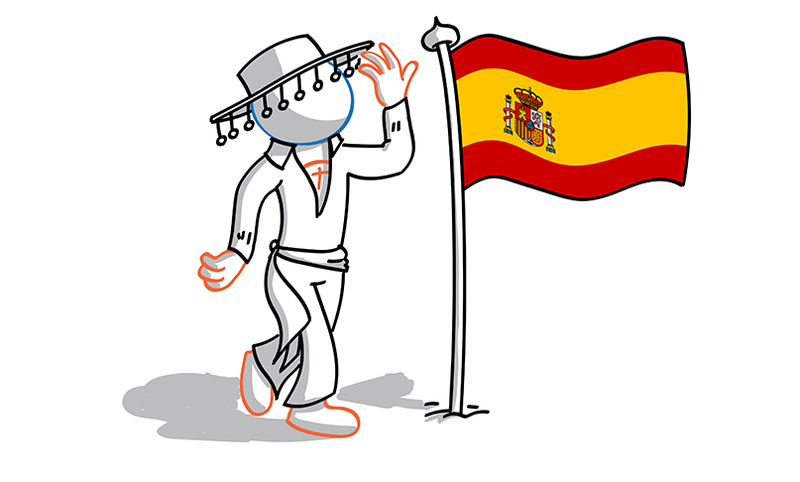 Since Spanish is spoken in more than 31 countries of the world, there are many varieties – even in Spain itself, where we can find Galician, Basque and Catalan. The Foreign Friend works only with native speakers who reside in their home countries, so that they can guarantee a perfect translation of each shade of meaning used at local level. 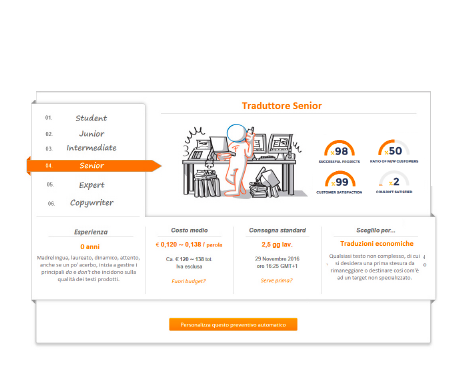 Do you want to know how much does your English-Spanish translation cost – choose a Student, Junior, Intermediate, Senior, Copywriter or Expert translator and discover it! 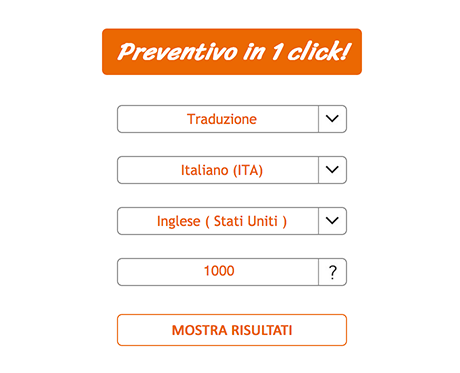 Use our 1-click quotation tool! Spanish ranks 3rd in the chart of the most widespread languages on the Internet, with more than 257 million Spanish mother tongue users (about 8% of the Internet users). With more than 410 million native speakers, Spanish is also the 3rd most spoken language in the world and it is used in more than 31 countries. Spanish is the official language of Spain, the majority of Central America (like Guatemala and Costa Rica) and Latin America (like Argentina, Venezuela and Peru). It is also one of the official language of the European Union and the United Nations. Spanish derives from Vulgar Latin and is influenced by other languages of the Iberian Peninsula (Basque, Celtic, Iberian, etc. 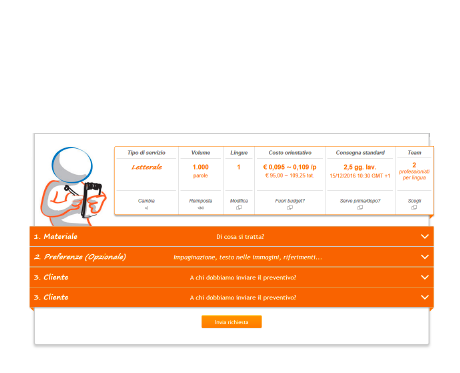 ), Arabic, other New-Latin languages (Occitan, Catalan, Italian, Portuguese, etc.) and recently English. Its structure is very similar to that of the Romance languages, especially to Italian: the Spanish alphabet is exactly like the Italian one, with the exception of CH, LL and Ñ.